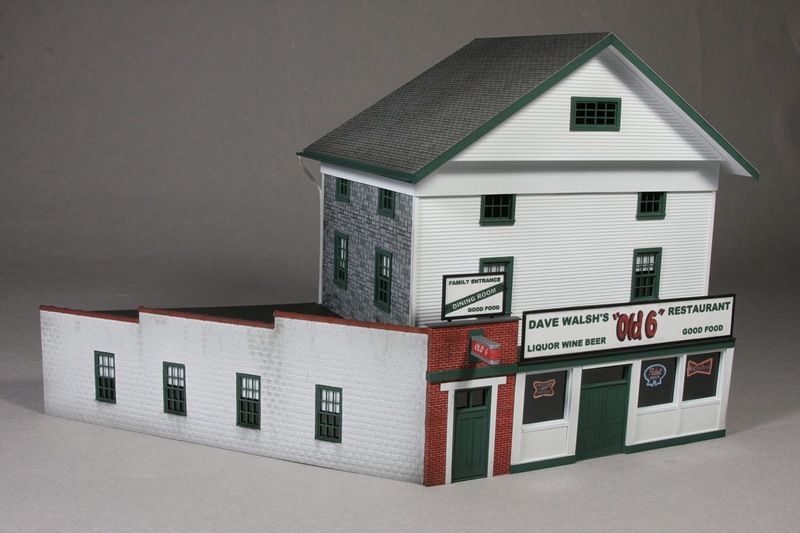 Signal Station 199: Modeling Danbury - Signature Structures, Dave's "Old 6"
Modeling Danbury - Signature Structures, Dave's "Old 6"
This is a structure that often appears in photos taken near Danbury station. Certainly an interesting name for a bar and restaurant, sure would like to know what the "Old 6" refers to! Dave's was a wood and masonry structure located just to the west of Danbury station sharing Canal street with Susnitzky's variety store. Both structures are no longer standing therefore relying solely on photos for reference to build models of them. Most of the photos that include Dave's in the background the lower portion of the structure is obscured by the railroad rolling stock that was the subject of the photo providing little information about the structure for building a creditable model. Below is an example of this type of photo where only the very top of the structure shows, but it's there and needs to be modeled on the layout. Like the Susnitzky's building, the most informative street side photo references are screenshots from a 1951 Alfred Hitchcock movie below. These photos are a good reference for height, the number of floors and windows also the signage, below the late 40's Ford convertible top obscures the very lowest part of the building so that part will have to be a guesstimate. 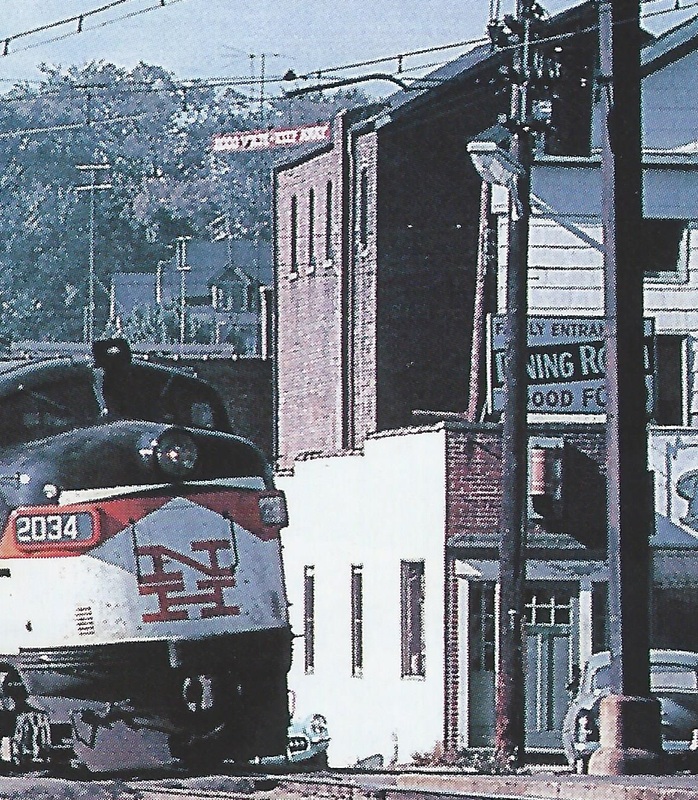 This next photo from the late 1950's offers a good look at the left of the street side not seen in the above photos, this is the only color photo I could find and shows that the building was basically white with green trim during the modeling era. Possibly this structure may originally have been built as a single house or a house and storefront with the shopkeepers residence above. This photo also gives a look at the lower floor masonry addition that was built onto the south side of the structure at some period. This early 50' photo shows the south side of the structure, the wood frame part of this side was covered with insulbrick at this time. 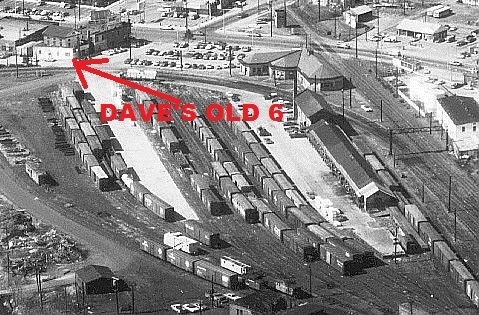 This aerial photo from the 70's shows the location of Dave's in relation to Danbury station and the yard. The south wall of the masonry addition angles away from the street side of the building somewhat following the curvature of the loop track. This is the last of the Danbury signature structures to be modeled and will complete the Danbury diorama portion of the layout. With the limited photo references available and limited space on the layout for this model, calling the finished product a scale model would be a real stretch. There is though enough photo reference to build a good resemblance of the south and street sides of the structure that will show on the layout. 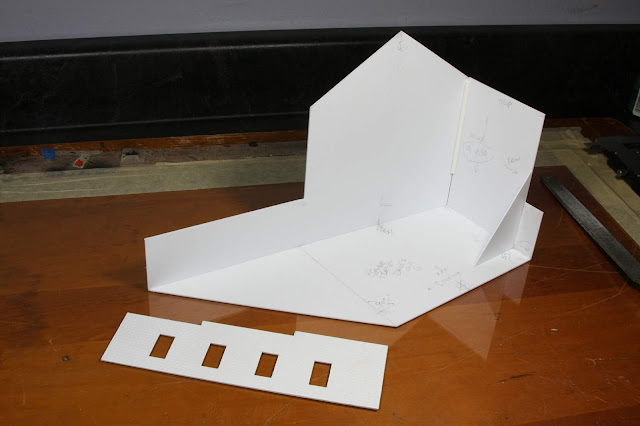 The model is all styrene with no unusual construction methods employed, so only this one construction photo is posted which shows the odd angles of the structure baseplate with the two unseen sides of the structure in place. 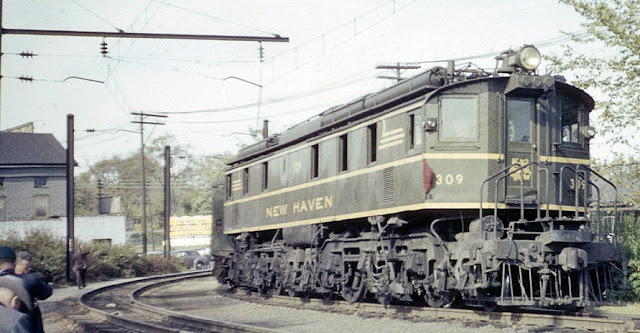 Since this model was to be just a resemblance of the prototype structure, only windows and doors that could be easily modified for a reasonable prototype appearance and styrene siding on hand were used. The finished model will be placed up against the backdrop that covers a helix, therefore the depth of the structure had to be shortened to fit leaving room for only two windows per floor on the south side of the wood frame portion of the structure. The models insulbrick siding comes from an online photo of an actual house that was sided with insulbrick. I printed that photo in HO scale then affixed insulbrick from the photo to the south side with Elmer's spray adhesive. The signage was made on the computer. More photos of Dave's "Old 6" will be posted once the structure is integrated into the layout. That is simply stunning. Your work is marvelous. I took a cue from the glazing installation of your CB&Q waycar build and used Pledge floor polish to affix the "neon" beer signs to the inside of the tap room windows. Sprayed the windows first, added the signs then resprayed, worked great.